Over sixty years ago, a Kage summit was held, but was interrupted by Akatsuki, led by their monstrous leader. The Kages were attacked with the full force of the criminal organization, and were overtaken - each individually being tortured and killed. When word reached the villages, the blame began to be thrown around as they tried to find comfort in blaming each other; Konohagakure was at the center of such blame, being said to be the reason Akatsuki ever even formed. As Konohagakure was sent into a defensive, the hidden villages became the targets of attacks from the weaker villages, being seen weakened by their lack of a Kage. All of the hidden villages managed to fight off the offensive, all except Iwagakure that is. The Hidden Rock Village was quickly over-run by Otogakure, making the once minor village into now one of the five most powerful villages in the shinobi world. Upon receiving word of the conquering of Iwagakure, the other hidden villages began to buff up their defenses to maximum levels, becoming extremely entrusting; and as this occurred, Akatsuki looked on with humor and hope that the villages would tear each other apart. Something else happened, however. The most powerful villages rebelled against their country Daimyo, believing that the Daimyos of each respective country held far too much power. Sunagakure had the most initiative for such a coup de tat, however, for the Daimyo of the Wind Country had been suppressing the military strength of the village for years up until that point. Once each Daimyo was killed and their rule relinquished, all five great villages, including Otogakure, seceded from their country, becoming countries of their own. Each village was now known by two names; Leaf Country, Sand Country, Mist Country, Cloud Country, and Sound Country. The Kages now not only ruled over their village, but an entire country of their own, the five hidden villages becoming war-mongering dictatorships, ruled by a single person, who had the power to plunge the entire country into a massive war if he pleased. This greatly increased the power that the Kages held, and thus, Kage summits ceased to exist, for isolation began to take it's grip on the five countries. 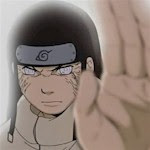 Thirty-five years later, mysterious murders skewered the radio news as the mark of a red cloud in the victim's blood was always left upon the wall or ground, marking the recent presence of the Akatsuki. The isolation of the five countries was finally set aside, as they came together in a final summit to contemplate how they would deal with the Akatsuki. It was then that the Akatsuki tried yet again to attack the Kage summit, hoping to this time kill the Kages and move on to conquer the five powerful countries. 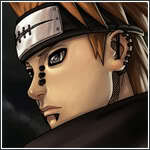 The Akatsuki failed, however, as they were brutally defeated by the Hokage, Kazekage, and Mizukage. Sadly, the other two died in combat, their countries quickly being retaken by their former countries, as Otogakure lost their grip on Iwagakure, rebellions forcing them out of the village. Finally the Akatsuki were destroyed, but how long would such a luxury last? It was well known that they would reform, most likely more powerful than ever, but the time in which they would remained a mystery. Today, the four countries known as: Leaf Country, Sand Country, Sound Country, and Mist Country stand tall and proud as the most powerful countries throughout the entire shinobi world. However, hostilities began to rise as the strength of a shinobi grew even greater, each village in an arm's race to develop the greatest ninja army the world had ever seen. All forms of peace treaties have become non-existent, and the world is on the brink of the first shinobi war! Will one of the Kages stop this madness? Can it be stopped? Only time will tell, while the decisions of three great shinobi will determine the future of the world as we know it.